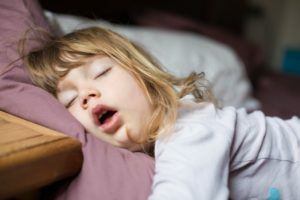 Your mom or dad may have mentioned that you used to drool a lot as a baby, but that doesn’t mean it’s normal if it happens now that you’re an adult. It can be embarrassing to wake up with a gross pillow or while you’re speaking to a coworker at work. Regardless, it’s not something that should be ignored, especially when your dentist in State College has solutions that could help. The next time you wake up to a pool of drool, consider these solutions instead of ignoring it. Here are six possible reasons why it may be happening. If you have dental decay, there’s a chance that you may need dental crowns in State College to save your tooth. However, did you know there are many dental crowns to choose from? They all have their own special properties and uses, so your dentist wanted to briefly go over them so you can be better prepared before visiting. Getting a crown is much better than the alternative; waiting for the decay to worsen and getting a tooth extraction. Let’s get started! 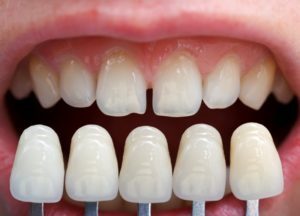 Where Are Veneers Made? Ask Your Cosmetic Dentist in State College! With most of the things we use in our everyday life, many people are involved in making the final product. One person makes the parts, another assembles them and yet another does the final quality check. You might be surprised to hear it, but dental work is no different! Although you primarily interact with your dentist, there are a lot of people “behind-the-scenes” that have a big impact on how your final result will look. 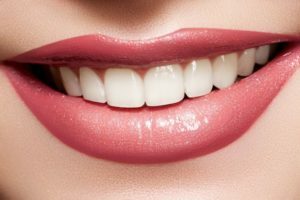 As a cosmetic dentist in State College, we’ve used porcelain veneers to give many of our patients the smile of their dreams. But where do we have our veneers made and do the materials used to make them matter? Keep reading to learn more! 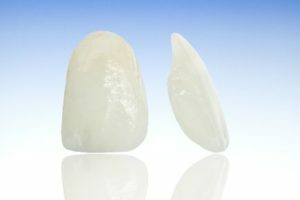 Comments Off on Where Are Veneers Made? Ask Your Cosmetic Dentist in State College! Want To Know How Your Smile Makeover in State College Will Look? It goes without saying that dental work is a significant investment in yourself. Particularly when it comes to cosmetic procedures, you want to make sure that your results give you the appearance (and confidence) that you’re after! But how can you make sure that your smile makeover in State College will turn out the way you want? The answer is simple: Smile Design Suite. With this technology, we’ve made it a priority to make sure we’re on the same page with our patients before even starting their procedures – and the results show it! Read more to find out how we make sure our patients are happy at every stage of their cosmetic treatments. Comments Off on Want To Know How Your Smile Makeover in State College Will Look? 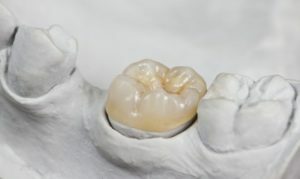 Can You Customize Your Porcelain Veneers in State College? You Bet! Most of the time, patients don’t get a whole lot of choice when it comes to their healthcare. We trust our doctors to know which treatment is the most effective and rely on them to make the best recommendation. But when it comes to procedures that change your appearance, you should be in the driver’s seat! As a cosmetic dentist who has done countless smile makeovers, you can rest assured that we always work side-by-side with you. We know that the best treatment outcomes come from working together as a team, so if you’re interested in porcelain veneers in State College, you’ll be able to weigh in on how they’ll look. Keep reading to learn more about the possibilities of this fantastic cosmetic procedure! 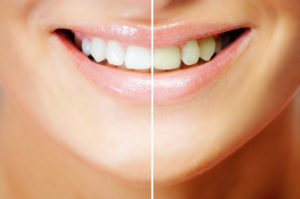 Comments Off on Can You Customize Your Porcelain Veneers in State College? You Bet! More and more, the medical and scientific worlds are discovering how interconnected the human body is. That means that what happens in one area holds as much significance in another as its place of origin. Thus, your State College dentist warns that if you are in need of having a dental procedure done that involves certain parts of your oral cavity, it’s important to know the condition of your heart to prevent serious problems from occurring. 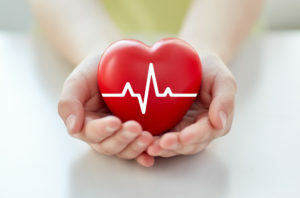 Learn what procedures this applies to and oral practices that can protect your heart. You’ve read about how important your preventive care visits with your local oral expert are to maintaining excellent oral health. You’ve also learned of the many aspects of your health that will be assessed from the neck up – one being an examination for oral cancer. To be on the safe side, though, you want to know how often you need this checkup done. 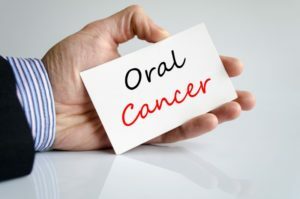 Thankfully, your State College dentist will weigh in with answers to that question and provide other valuable information about the best practices to prevent oral cancer. Not Sure How to Transform Your Smile? Your Cosmetic Dentist Can Help! Do you get jealous when you’re scrolling through your Instagram and see all your friends’ beautiful smiles? Do you fondly remember the days when you could show off your pearly whites without wondering if anyone noticed all their little (or big) flaws? If you’re unhappy with the way your smile looks, you have lots of options in front of you for transforming it. But how can you get started on the path to a brand-new grin? Your cosmetic dentist in State College is eager to help. Comments Off on Not Sure How to Transform Your Smile? Your Cosmetic Dentist Can Help! Get the Smile of Your Dreams from Your Dentist in State College! It’s been so long since you’ve looked in the mirror and been happy with your smile. Not only have they become severely discolored, but that previous accident has permanently damaged your front tooth. Now you feel too self-conscious to even smile for family photos. But it doesn’t have to be this way. There is a way to get the smile you used to have and more thanks to your dentist in State College. With porcelain veneers, you’ll be proud to flash your new smile every chance you get. 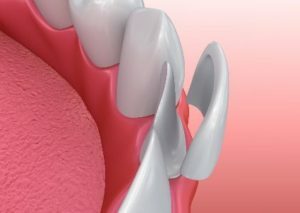 We’ll be discussing what porcelain veneers are, how treatment works, and the many benefits that come with them. Comments Off on Get the Smile of Your Dreams from Your Dentist in State College!